A simple dot pattern is a light-hearted coordinate to a variety of bedrooms. The base cloth is a solid white 100% microfiber fabric with the special Truly Soft double brushing and finish with the medium scale dot print in fashion colors. 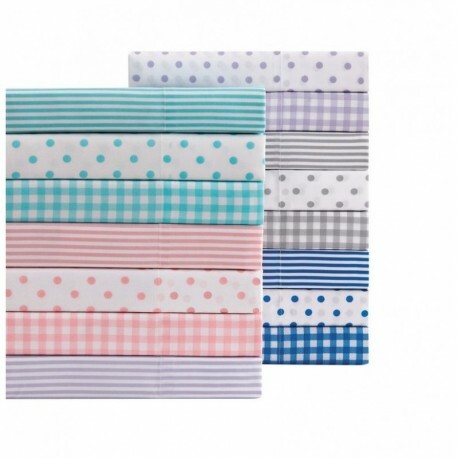 The fitted sheets are deep pocket for thicker mattresses and the elastic is on all four sides. 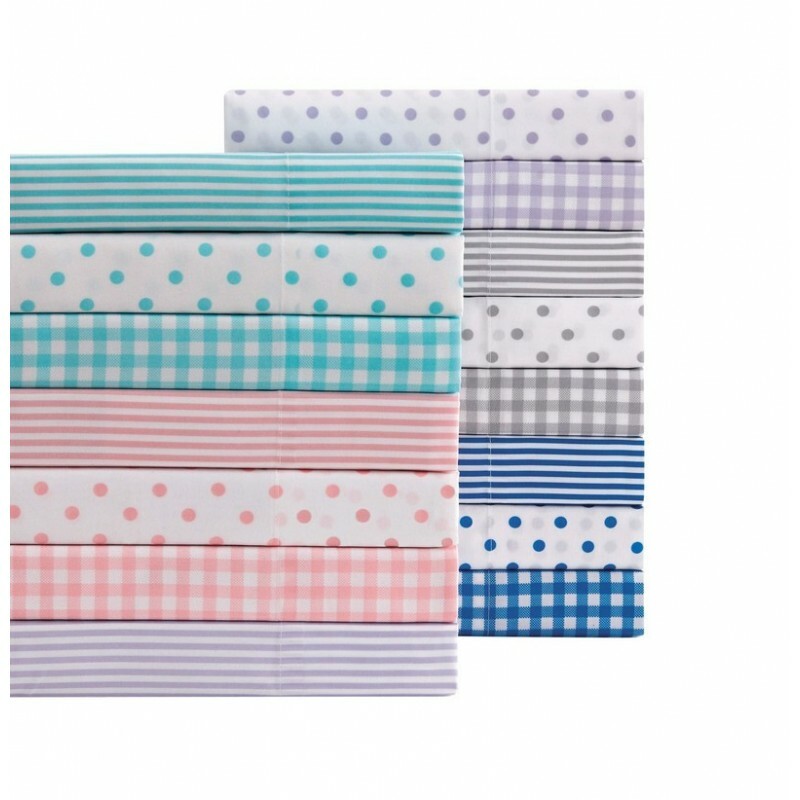 These sheets can coordinate to a variety of looks for any bedroom by giving a playful coordinate.